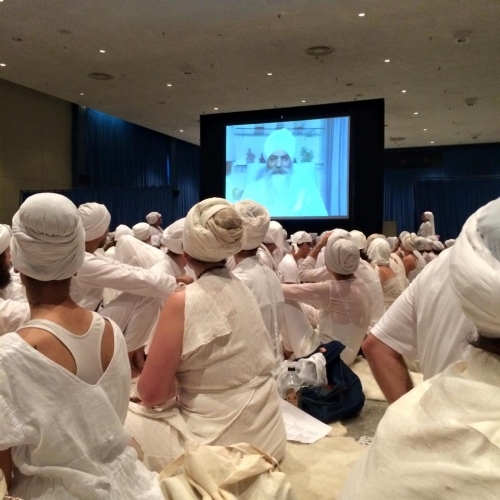 Who will be crowned the next Mahan Tantric to succeed Yogi Bhajan​? When Yogi Bhajan immigrated to Toronto and then to Los Angeles in 1968, he began calling himself “Mahan Tantric,” or “grand master of Tantric yoga.” He became a yoga teacher, and established the Healthy Happy Holy (yoga) Organization in 1969, commonly known as 3HO Foundation​. "Beyond the late introduction of Sant Hazara Singh and the convenient timing of his elevated importance, perhaps the strongest evidence against his existence comes from Yogi Bhajan himself. 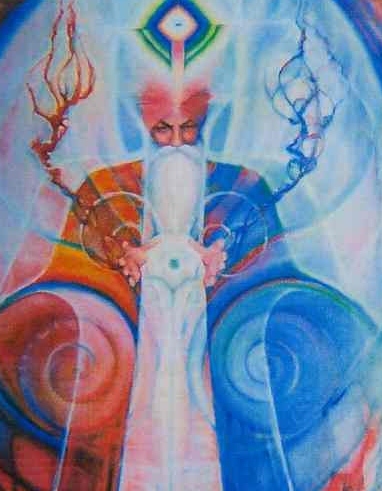 The accepted narrative within 3HO, taken from Yogi Bhajan directly, is that he trained under Sant Hazara Singh from the age of seven until sixteen and a half, when he was declared a Master by his teacher (Yogi Bhajan 1990a). However, on numerous occasions during his first years in the West, Yogi Bhajan himself dated the beginning of his yogic study to a time after he would later claim to have finished his studies under Sant Hazara Singh. Yogi Bhajan initially told reporters that he had been studying yoga “since he was eighteen” and in interviews in both 1968 and 1969, he claimed to have studied for twenty-two years, and in 1970 that number was adjusted to twenty-three years, which at 1946 and 1947, would have made him either seventeen or eighteen years old when he began to study yoga (Hampton 1968; Altschul 1969; Anonymous 1970b; Gray 1970). An early article by the “mother of 3HO” Shakti Parwha Kaur also describes Yogi Bhajan’s meeting with Virsa Singh as the apex of the former’s “22 years search for Truth,” once again placing the beginning of Yogi Bhajan’s spiritual quest at a post- Partition time following his claimed completion of studies under Sant Hazara Singh", writes Philip Deslippe.(S.P.K. Khalsa 1970b, 2).